If you're looking to do some #twinning with your kids this Mother's Day, Madewell has what you've been looking for, mama. They just launched their second collaboration with Crewcuts, including The Embroidered Denim collection has which some matching mom and daughter looks we are totally loving. 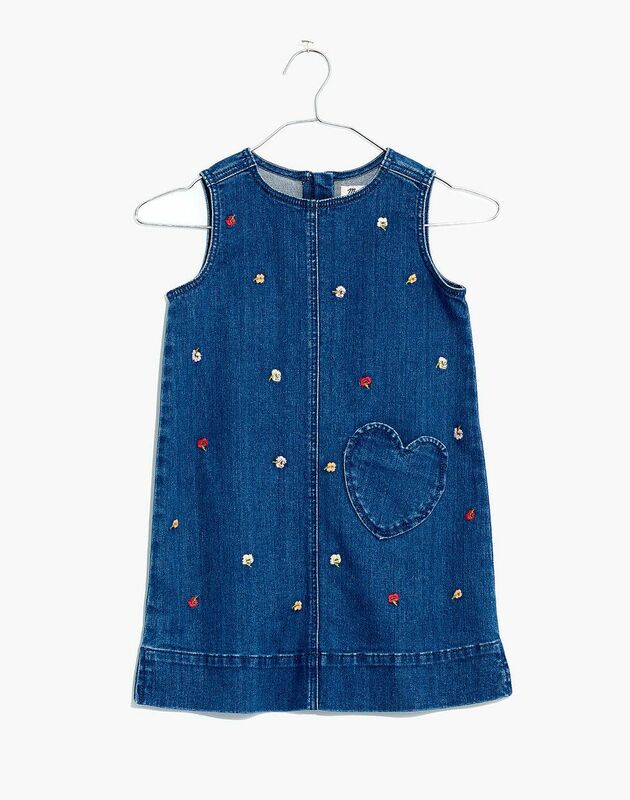 Super cute on its own or layered over a tee, this shift dress is all about love with the adorable heart pocket detail. 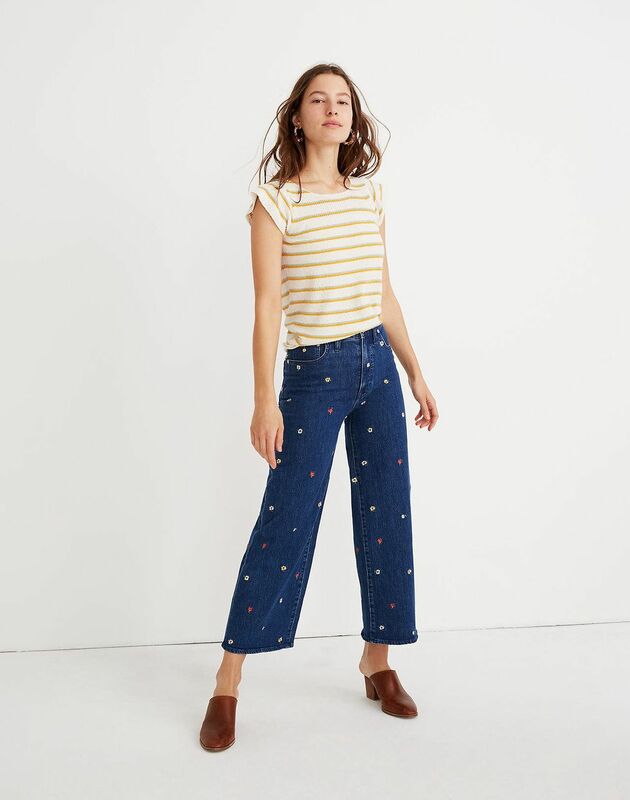 Sizes 3 to 14 are up on Madewell.com. 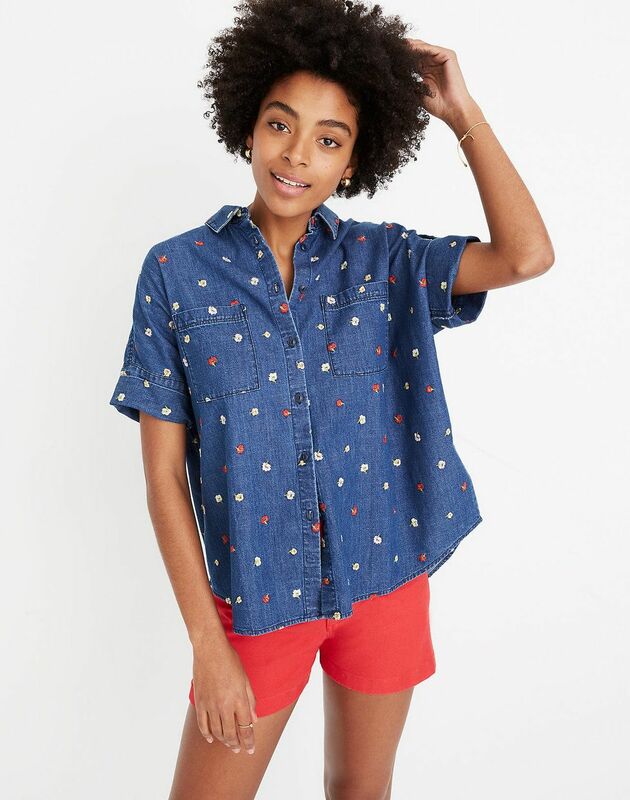 A great top for spring (that's easy to wash), this 100% cotton, oversized shirt is perfectly springy. 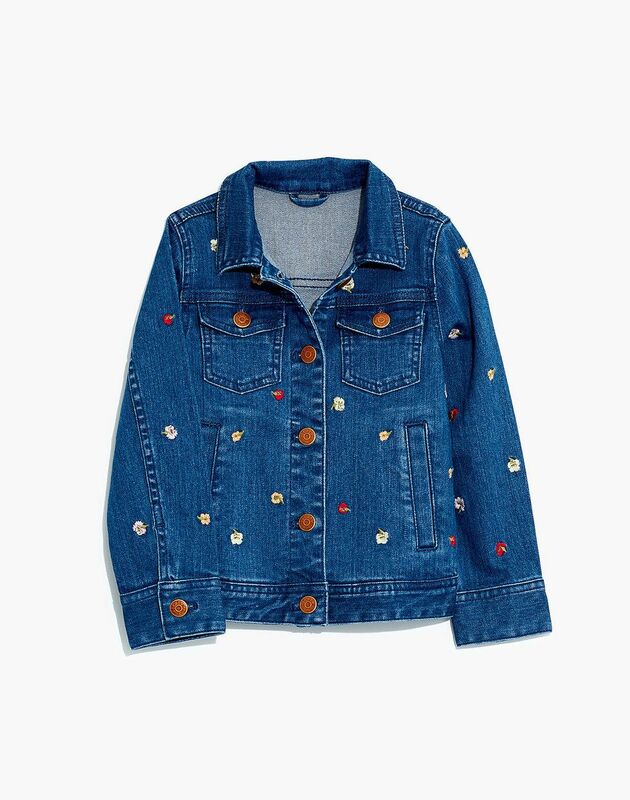 Over the matching dress or on its own with a tee and jeans, this kid's jean jacket is on trend and great for layering in this season where the little ones are hot one minute, and cold the next. This one's going fast! Sizes 2, 3, 8, 10 and 12 are the only ones left.